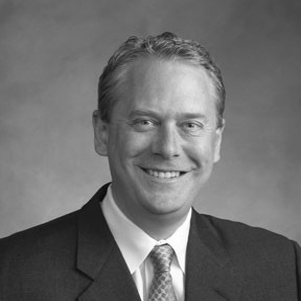 Greg Baker, President and CEO of Advance Consulting Inc.
Greg Baker is President and CEO of Advance Consulting Inc., a premier management consulting and professional development firm serving corporate and government clients in the U.S. and abroad. Advance Consulting specializes in the transformation of people, teams, and organizations, helping clients adapt and thrive in the turbulent and challenging global business environment. Mr. Baker is a strategic and visionary leader with demonstrated experience growing and transforming businesses across multiple industries. He shares his experience by providing executive coaching to business leaders who are themselves leading significant change and innovation. Since 2005, Greg led the transformation of Advance Consulting from a specialized training company into a full service management consulting company serving the needs of clients undergoing major business transformation. On a daily basis, Mr. Baker directs company strategy and operations toward achieving our new mission: To partner with our clients to achieve sustainable change in how their people and businesses operate, delivering strategic growth and profitability, and serving the broader evolution of the global community. Mr. Baker was formerly an executive with CTB/McGraw-Hill, where he was Vice President of Programs and Business Transformation. Prior to CTB/McGraw-Hill he was a Vice President at Science Applications International Corporation (SAIC). Throughout his career, Mr. Baker’s focus has been on growing and transforming businesses across a variety of industries. Greg holds an MBA in Management from San Diego State University, and a BA in Psychology (Honors Program) from the University of California, San Diego. He received the SAIC Founders Award for outstanding success in business development, and placed in the Top Ten of the International Business Plan Competition hosted by college MBA programs around the world.